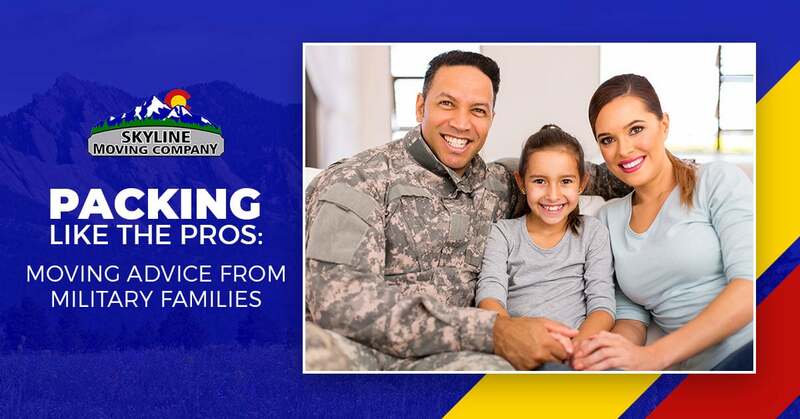 It’s probably fair to say that there are few people who move quite as often as military families — except, of course, professional movers. So, it’s fair to say they have plenty of experience with moves both good and bad, and a plethora of advice to offer thanks to those experiences. If you want to make your move run as smoothly as possible, try these moving tips to pack and move like military families. One of the biggest keys to making a move go well is always going to be organization. Of course, organization on its own is a pretty broad category, so let’s break that down further with a few popular moving tips. When it comes to any move, near or far, there are a few different ways in which organization will provide some major assistance. First, you’ll want to create a timeline for your move that starts with selecting a local moving company. The earlier you get started, the better. In terms of moving, starting earlier gives you the opportunity to get quotes from multiple moving companies, and to get your move on their schedule sooner. Once you have your moving company booked, you’ll want to find or create a moving checklist. This list should include any deadlines you need to remember — especially in regard to selling and buying homes. As you go along, use that same document to note down any accounts that will need to be moved (like your internet, TV, and phone), and any accounts that will need to be updated with your new address (including bank accounts, but also subscriptions or online shopping accounts). If you make note of those accounts as you go, you’ll be far less likely to forget one when the time comes to put those changes into effect. What many military families know is something we could all stand to remember: moving is a great time to do some serious “spring cleaning.” When living in one place for multiple years, it’s easy to build up stacks of things that end up sitting in boxes, unused for ages. Use the weeks/months leading up to your move as the perfect opportunity to pare down and get rid of things that sit around gathering dust — heirlooms and family memorabilia aside, of course. Start by going one room at a time and separate things into a few different piles: keep, sell, donate, and trash. Anything that goes into the ‘keep’ pile can either be packed, if it’s not needed before you move, or it can go back to its usual spot. Trash can obviously get tossed out — but be sure you dispose of hazardous materials properly. As for the rest, your donatable items can go to your nearest thrift store in loads so you don’t have to worry about totally filling your car. Find an out-of-the-way spot for all the items you plan to sell. Once you’ve gone through every room, it’s time to plan a garage sale to get rid of what you can and make some money too! As much as is possible, it’s a great idea to get packing ahead of time — especially if you’re trying to sell your current home. Things like holiday decor, off-season clothing, and specialty kitchen gadgets you rarely use can all get packaged up ahead of time. Also consider packing up books, some home decor, and other things you can live without until you’re in your new home. If you’ll be showing your home, leave some decor out so your home looks put-together but not cluttered. The sooner you start packing, the less rushed and stressed you’ll feel as your moving date looms closer. As you pack, don’t forget to label each box with what’s inside. This bit of advice tags along with the last item. As soon as you know the layout and spaces of your new home, you can start planning where all of your household goods will go. Make sure you get measurements for each room so you can determine where your furniture will fit. This will give you a good idea as to whether you’ll need to get rid of any of your existing furniture. It’ll also give you a chance to plan and budget for any new furniture the new home will need. Once you’ve got your furniture mapped out in the various rooms of your new home, you can start labeling each box better. Assign each room a different color, then use colored tapes, markers, or colored papers to mark each box. Then, when move-in day arrives, label the doors of each room with the corresponding colors — but please, don’t use markers on the doors! This color-coding system will make it easier for your movers to get everything in the right rooms, which will make it easier for you to unpack and get organized quickly. One of the ultimate tips that most military families learn quickly is to take bits of home with you when you travel. Things like family photos and treasured keepsakes, when placed around your new home, will go a long way toward making the new place feel like home faster. It’s a great way to feel welcome in your new place, but it’s doubly important if you have kids. Seeing those familiar items around your new home will help your kids settle in sooner and feel less overwhelmed by the whole process of moving. As you pack up your household goods, have a box or two designated for “there’s no place like home” items that will get unpacked first. Encourage your kids to add their favorite drawings and other items to those boxes to include them in the moving process. Moving can be a daunting process, whether you’re moving from one neighborhood in Denver to another, or if you’re moving across Colorado. Connect with your local moving pros for more moving tips and advice — the Skyline Moving Company team is here to help! Start with a moving quote, or give us a call to talk about the moving services you need!